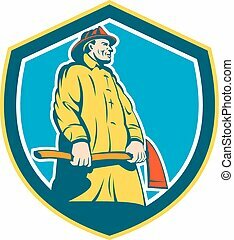 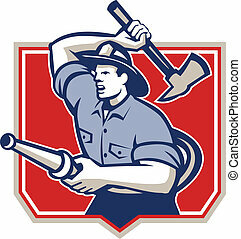 Fireman firefighter holding fire axe shield. 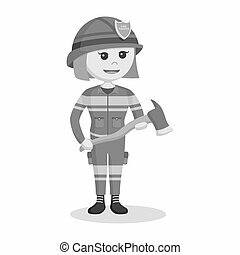 Illustration of a fireman fire fighter emergency worker holding a fire axe viewed from front set inside crest shield done in retro style. 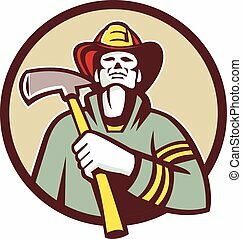 Illustration of a fireman fire fighter emergency worker holding a fire axe viewed from front set inside crest shield done in retro style. 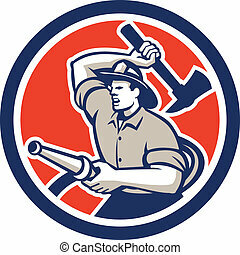 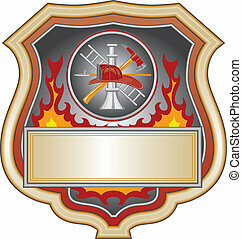 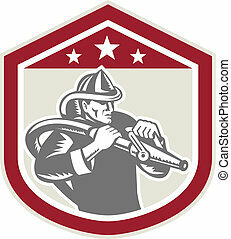 Illustration of a firefighter or fire department shield with firefighter tools logo. 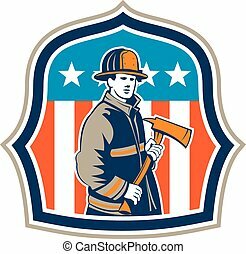 Illustration of an american fireman fire fighter emergency worker holding a fire axe viewed from front set inside shield crest with american stars and stripes flag in the background done in retro style. 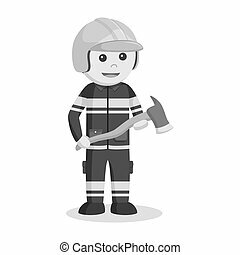 Illustration of a fireman fire fighter emergency worker standing holding a fire axe looking to the side set on isolated white background done in retro style. Illustration of a fireman fire fighter emergency worker holding a fire axe looking to the side set inside circle on isolated background done in retro style. 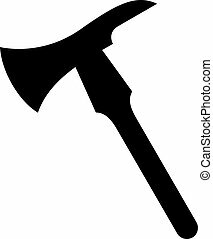 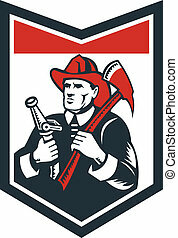 Mono line style illustration of a fireman fire fighter emergency worker holding a fire axe viewed from the side set inside shield crest on isolated background. 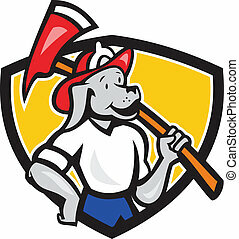 Illustration of a mascot dog canine fireman fire fighter emergency worker with fire axe looking to side set inside shield done in cartoon style. 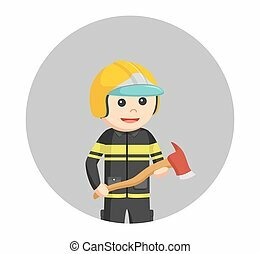 Illustration of a fireman fire fighter emergency worker looking up holding a fire axe on chest viewed from front set inside circle done in retro style. 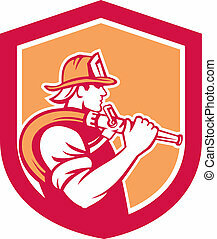 Illustration of a fireman fire fighter emergency worker holding fire hose over his shoulder viewed from the side set inside shield crest done in retro style. 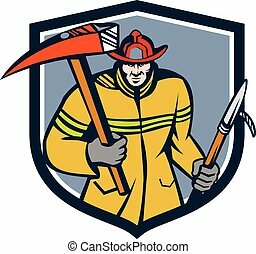 Illustration of a fireman fire fighter emergency worker with fire hose wielding a fire axe set inside crest shield done in retro style. 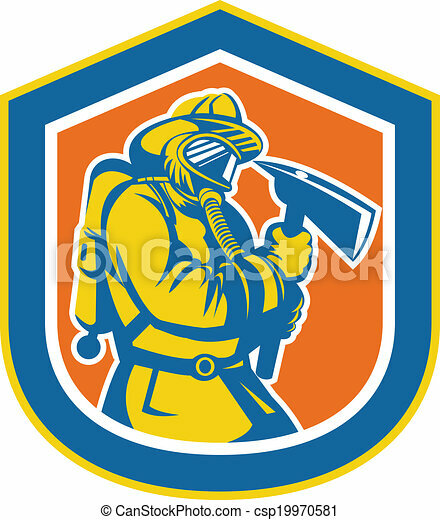 Illustration of a fireman fire fighter emergency worker standing holding axe viewed from low angle set inside shield crest on isolated background done in retro style. 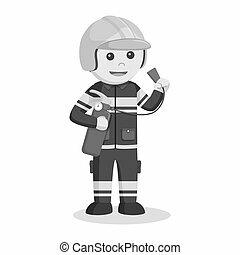 Illustration of a fireman fire fighter emergency worker looking up holding fire hose and fire axe inside shield done in retro woodcut style. 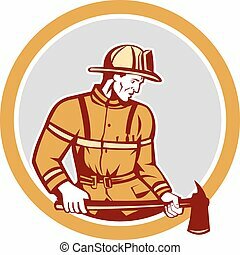 Illustration of a fireman fire fighter emergency worker holding a fire axe and hook viewed from front set inside shield crest on isolated background done in retro style. 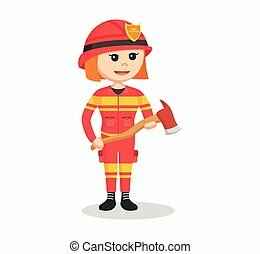 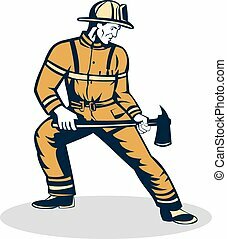 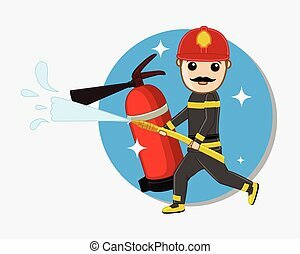 Illustration of a mascot dog canine fireman fire fighter emergency worker with fire axe looking to side done in cartoon style. 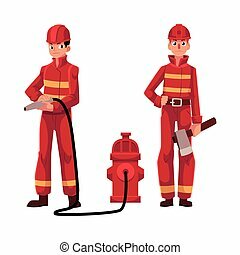 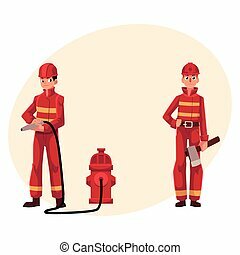 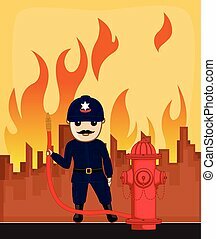 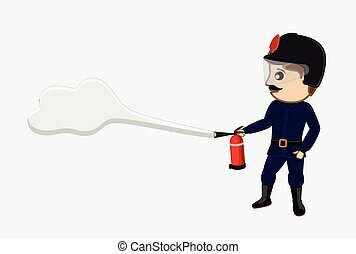 Illustration of a fireman fire fighter emergency worker holding fire hose and fire axe inside circle done in retro style. 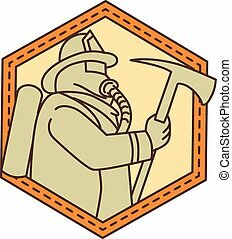 Illustration of a fireman fire fighter emergency worker with fire hose set inside shield crest shape done in retro woodcut style on isolated background. 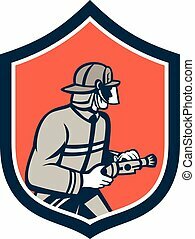 Illustration of a fireman fire fighter emergency worker with fire hose facing side set inside shield crest on isolated background done in retro style.